Let me tell you the short version of the story: Guy meets girl. Guy and girl bond over ice cream. 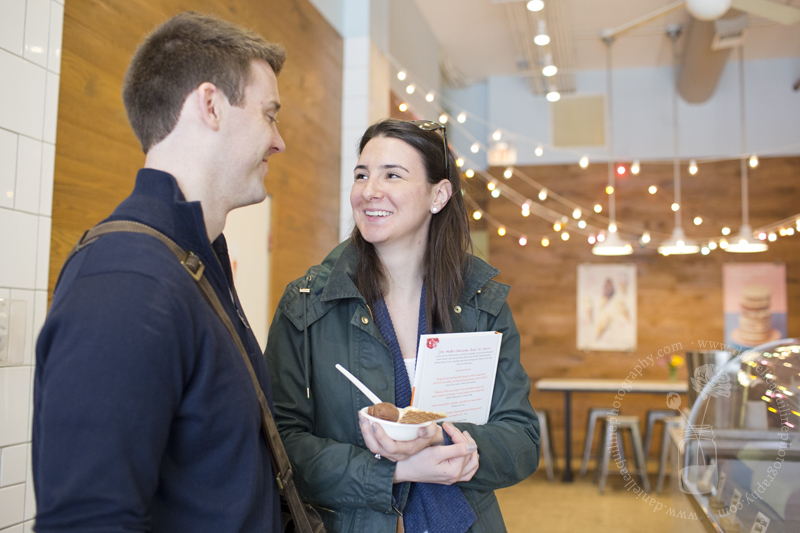 Girl makes guy try Jeni’s, and they go over 75 times throughout their courtship. Guy decides he must marry girl. 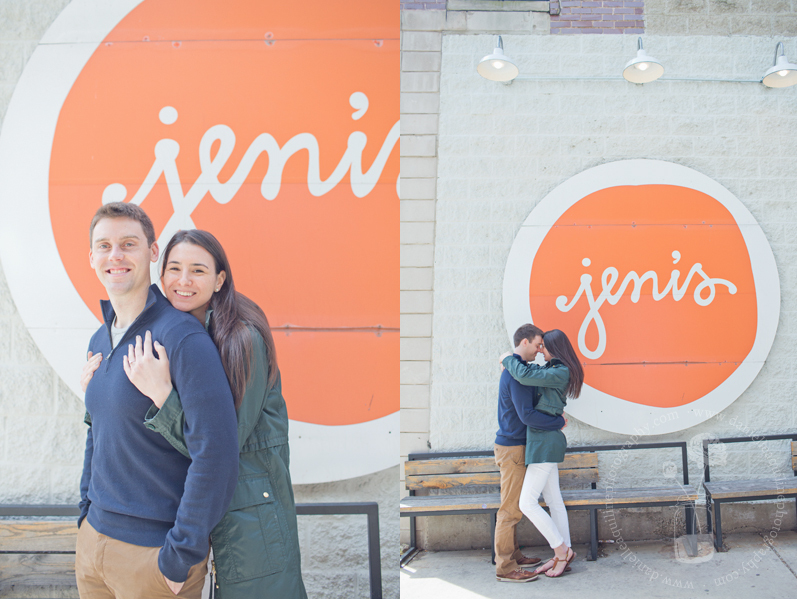 Guy gets Jeni’s to open early, hires a photographer (me! 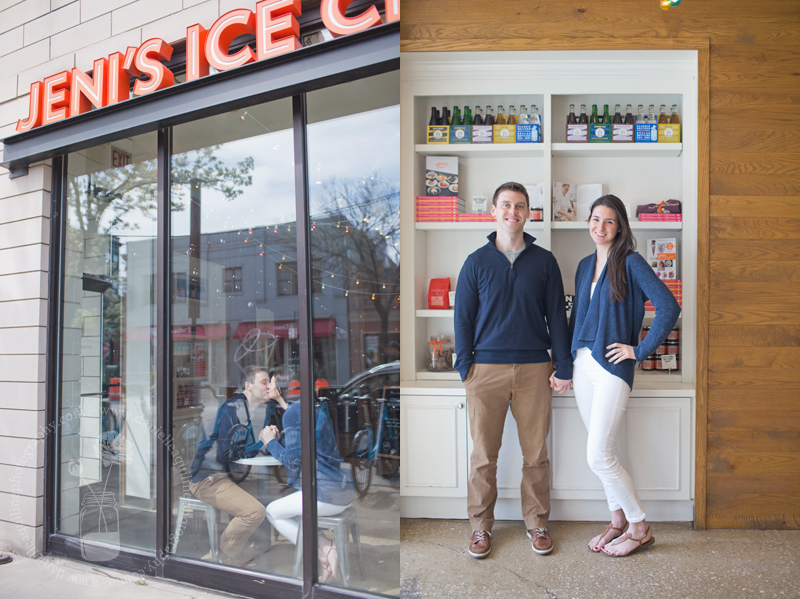 ), and comes up with an elaborate tale to get his girl into an ice cream shop at 10:30 in the morning. Girl resists but falls for it. 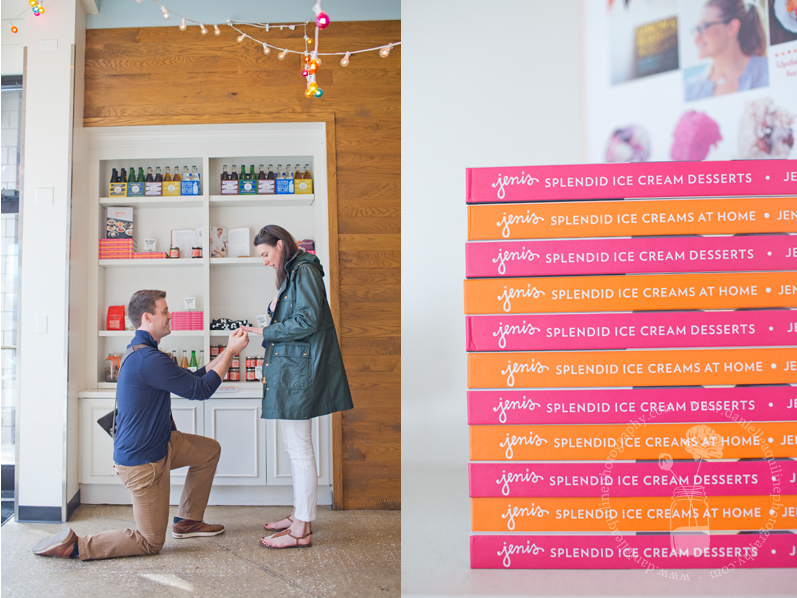 Guy gets down on one knee, pulls out a Jeni’s cookbook, opens the cover, and reveals a ring that has been perfectly placed inside a hand-carved niche within the book. Girl thinks they must’ve found the wrong cookbook. Guy assures her they haven’t. 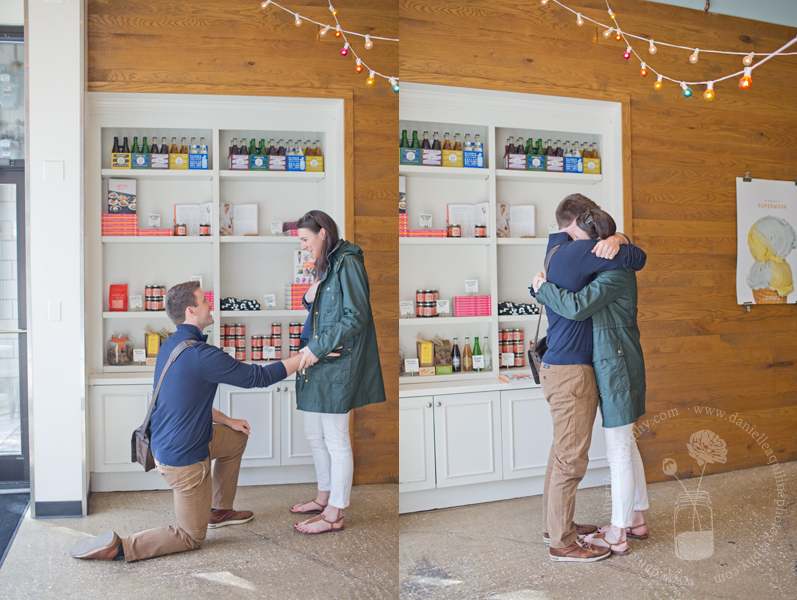 Girl–in total shock–says yes. 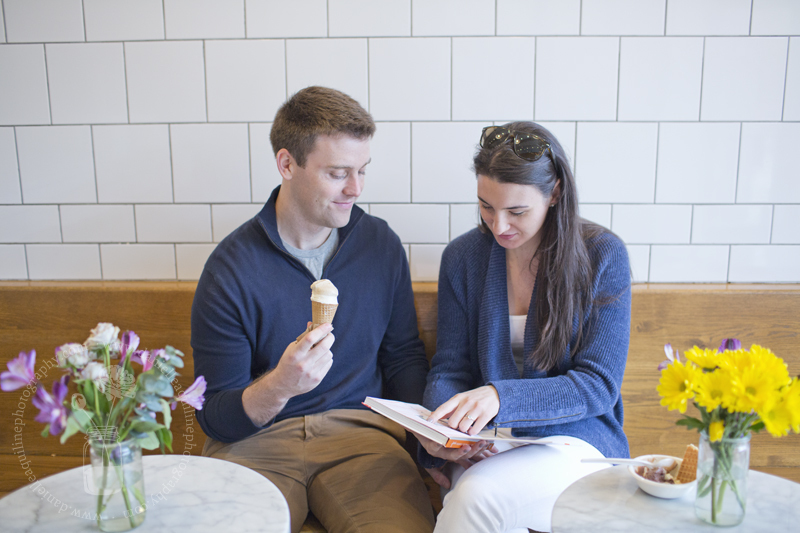 Guy and girl eat ice cream, again. I’m am SO excited to have been a small part of the story. 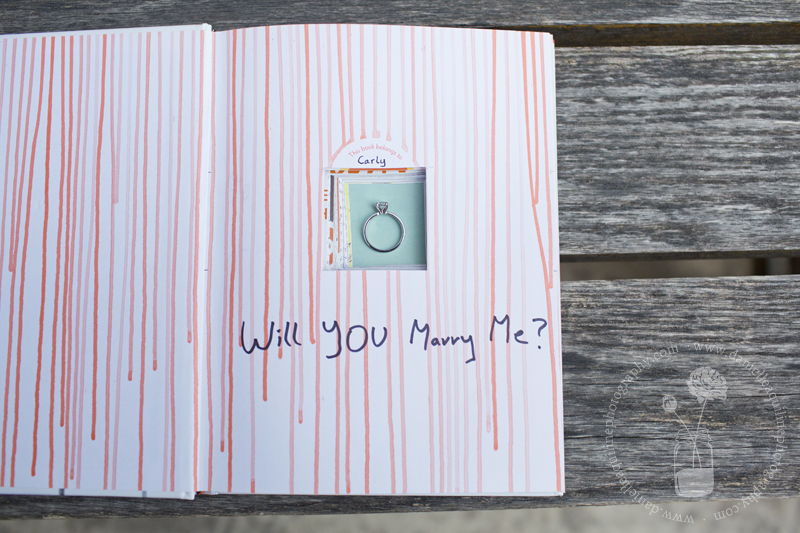 Here are some photos from the surprise proposal! 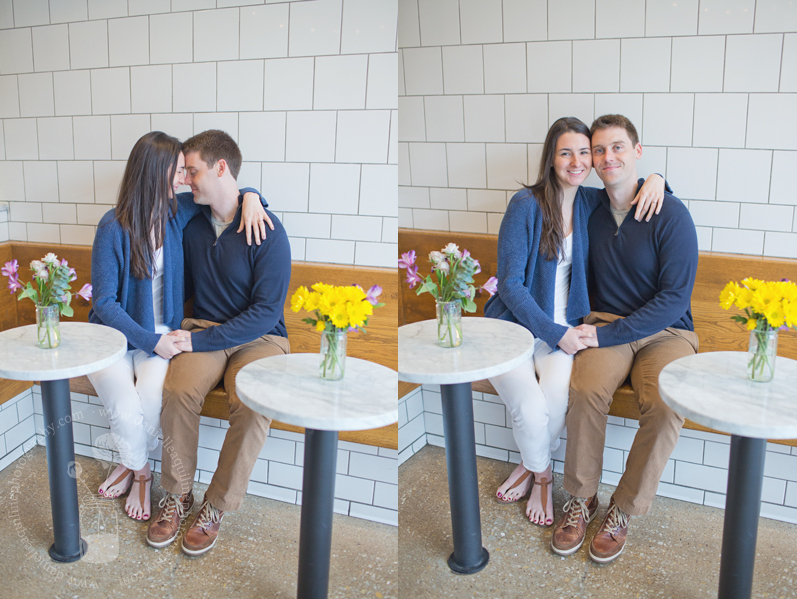 Love the pictures, Loved the proposal, love these two!